The Toronto Enterprise Fund will host its second Dragon’s Den-style Pitch Night on Thursday, March 7. The pitch nights represent the last stretch in the unique Employment Social Enterprise (ESE) Idea Accelerator program, with the winter cohort focusing on creating opportunities for people with disabilities. Five participants will pitch their business ideas to a panel of expert judges in hopes of winning up to $10,000 of catalyzing funding. 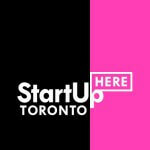 The Pitch competition is the culmination of a three-month accelerator program, which has supported nearly 20 individuals and organizations in Toronto and York Region to develop early-stage ESE ideas. ESEs are businesses that create training and employment opportunities for people who face barriers to the labour market, including newcomers, people with disabilities, and people with mental illness. The lively evening will feature pitches, dinner, and the opportunity to mingle and network with members of the social enterprise and business communities from Toronto, Peel and York Region.